Is Your Garden Hose Toxic? It’s summer time, and it’s hot. 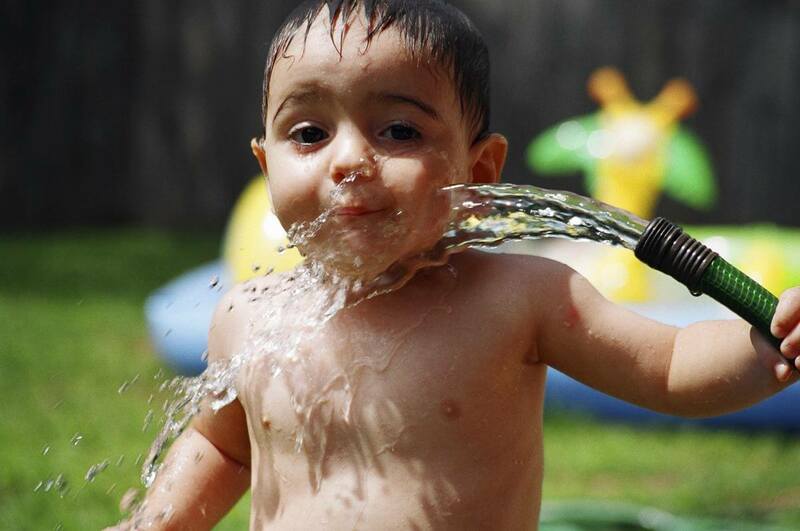 What could be more wholesome and refreshing on a hot, sunny day than kids running through the sprinkler and drinking from the garden hose, right? 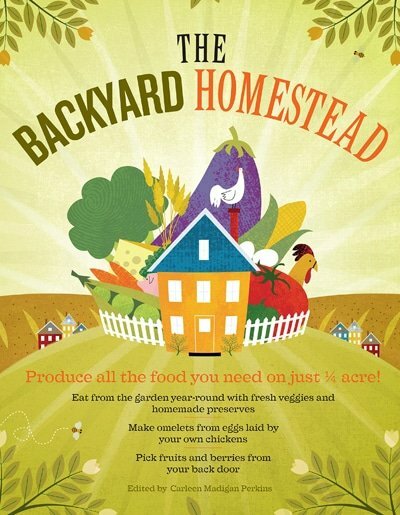 But what if that hose is delivering a heavy dose of heavy metals and toxic plasticizers to your children and your garden? According to 2016 testing from from the Ecology Center, the average garden hose delivers a veritable soup of toxins. The Center tested 32 new garden hoses from Amazon, Lowe’s, Home Depot, Walmart, Target, and Meijer and analyzed levels of lead, cadmium, tin, mercury, arsenic, antimony, bromine (associated with brominated flame retardants), chlorine (indicating the presence of polyvinyl chloride, or PVC), phthalates and bisphenol A (BPA). These metals and chemicals have been linked to birth defects, impaired learning, diabetes, obesity, liver toxicity, premature births, hormone disruption, cancer, and infertility, among other health problems. Most of the hoses they tested were made from polyvinyl chloride (PVC), a toxic plastic that often contains phthalates, BPA and organotins, all of which can interfere with hormonal and reproductive development. 38% of the hoses also contained bromine and antimony, chemicals that can lead to thyroid, kidney and liver damage with prolonged exposure. The hoses were also tested for phthalates, a class of chemicals added to plastics and cosmetic products to keep them soft and flexible. Phthalates have been linked to hormonal imbalances, cancer, sterility in men, lowered IQ, and behavioral problems in children. 75% of all the PVC hoses contained phthalates, and even a few of the “drinking water safe” hoses contained phthalates! Finally, they left 7 hoses filled with water to sit outside in the sun for two days, and then tested the water to see what was in it. The hose water contained lead, phthalates and bisphenol A at levels much higher than the drinking water limits set by the Environmental Protection Agency and the Food and Drug Administration. If that weren’t bad enough, its not just the hose itself that is toxic. Metal fixtures on hoses aren’t required to adhere to the limits on heavy metals that home faucets are, so even if the plastic itself is safe, the connectors could be adding lead to your water. One-third of hoses tested had lead levels over 100ppm. There is no safe limit for lead, and even the tiniest amounts are be poisonous. But it’s not just your kids, livestock, and pets drinking the water that you have to worry about. Although the Ecology Center didn’t test for antimony, phthalates, or BPA in the plants watered with these hoses, Jeff Gearhart, research director at Ecology Center, says it’s very possible that your hose could be contaminating your vegetable garden too. Fortunately, there are much safer hose alternatives available if you know how to find them. Choose a rubber hose. Natural rubber hoses don’t need phthalates, BPA or UV stabilizers to keep them flexible. The Craftsman Premium Rubber hose earned the “Low Hazard” rating in the Ecology Center’s tests, though it is not rated “drinking water safe.” This one is good for gardening and washing up only. Choose “drinking water safe” hoses. The safest garden hoses have the label “drinking water safe.” Many of these garden hoses are also labeled “lead-free”, “BPA-free” and “phthalate-free.” Two great choices are the lightweightWater Right hose or the more traditional Camco hose. For a lightweight, transparent hose that allows UV rays to kill bacteria in the hose, try the ClearFlow. Store your hose in a cool, dark place. Heat and sunlight can break down your hose, no matter what it’s made from, and increase the leaching of chemicals into the water. Keeping your hose out of the heat and sun will also greatly extend its life. Let your hose run a bit before using the water from it. This will flush out any metals or chemicals that have leached into the water sitting in the hose while you weren’t using it. How do we responsibly dispose of our old toxic garden hoses? If you cannot upcycle it into something, there is no good way. It goes to the landfill. About the craftsman hose. I live it and have been using them for a few weeks now. I went to open up my 3rd one today and read the inside that says it contains chemicals including lead. I had totally thought it was drinking water safe too. Man, I thought I’d done my research! So…habe they changed? Would you still recommend them? Although the state of California requires that label on anything that might contain certain chemicals, the Craftsman rubber hose I recommended has been tested as lead free. However, rubber hoses are NOT drinking water safe, so don’t use them for anything but gardening or washing up. For kids, animals and water fun, get a “drinking water safe” hose like this one. Thank you so much for talking about this. It’s so important and I don’t think many people know about this. Probably…yes. If I had to guess it is toxic! Thanks for the info. Pinning!